When you work your horse correctly on the lunge, it’s a great way to encourage him to use and develop all the right muscles that’ll improve his way of going when you ride him. Also, from your position on the ground you can watch how your horse moves and spot any irregularities in his muscle development. It gives you a benchmark for where your horse’s training is and highlights the areas that need working on, such as improving his suppleness and balance. From what you see when you lunge him will help you formulate a targeted training plan. 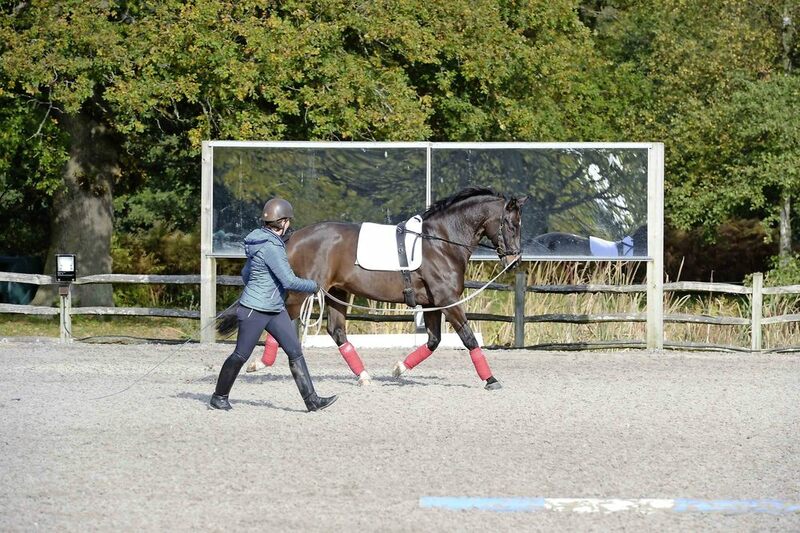 Read on for my tips and advice to boost your technique, and help you recognise when your horse is working correctly. For effective lungeing your position as the handler is really important. It can take a bit of practise to perfect it but if you follow my simple tips you’ll be lungeing like a pro in no time. If your horse has a moment and takes off on the lunge, don’t panic and immediately try and get him under control. If you get tense it’ll only activate his flight mechanism further. Instead, take a deep breath out, relax your shoulders and then quietly ask him to come back to walk.